Underwater hockey is a fun, fast and exhilarating team sport played with short sticks and a puck at the bottom of the pool. The UCD Sub-Aqua have our own dedicated team called the UCD Krakens. Training takes place on Friday nights 21:00 – 22:30 in the UCD pool during term hours. We meet at the poolside cafe at 20:30 before heading in. We’re always looking for new members to join the Krakens and get in on the fun. We recently competed in our first Underwater Hockey tournament abroad in Slovenia! 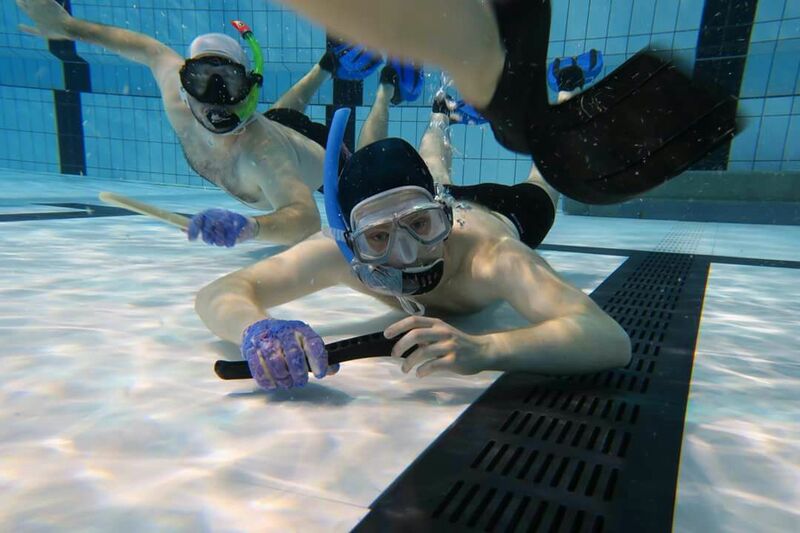 Not sure what underwater hockey is? Watch our video and find out for yourself! For the latest news about UCD Underwater Hockey, visit our Facebook page.